Many industries, like construction and transport, rely on forklifts for their operations. 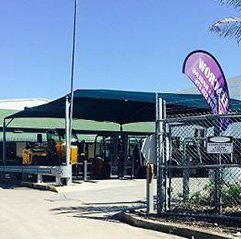 But although forklifts are a highly versatile and necessary piece of machinery, they can be extremely dangerous and potentially cause serious accidents when inexperienced and untrained drivers are at the wheel. Additionally, having an unlicensed forklift driver can leave your business open to liability. This means that having proper forklift licensing and training requirements in your business is essential to prevent such events from occurring. You can do this by ensuring that forklift drivers know how to operate forklifts safely around the worksite. Be able to use English at a level that enables the safe performance of high-risk work. Complete a recognised training course with a registered training organisation (RTO) and be assessed as competent by an assessor working for the RTO. LF Class: allows you to operate a forklift truck equipped with a mast and an elevating load carriage with a pair of fork arms or other attachment. LO Class: an order picking forklift truck where the operator’s control elevates with the load carriage/lifting media. There’s a three-step process to obtaining your forklift license. Australian Law requires you to complete a compulsory training course with a registered training organisation (RTO). These typically go for 1-3 days and will cover everything from basic forklift driving to demonstrating how to operate a forklift safely in a business premises. It’s important that you research different training organisations to make sure that they can offer you the skills and training you’re looking for and need in your business. You can do this by starting with reviews to see how long the company has been in operation, what the average passing rate is, and what the training environment is like. After you’ve found a trusted RTO and booked a course, prepare yourself by requesting a copy of their forklift driver manual and revise the material. Most RTO’s will have practice questions so be sure to ask for copies as well. On-site when you’re training, it’s required that closed in shoes are worn along with a hi-vis vest which is usually provided during the training, as in all situations involving a forklift, safety is essential. Once your training is completed, everything you’ve learnt will be put to the test. 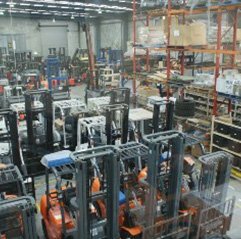 You’ll be assessed on both forklift theory and how you operate and manoeuvre a forklift in your surroundings. As soon as your training and assessment have been completed, you’ll be given application forms to obtain your physical license. These forms must be filled out correctly with a passport sized photo and 100 points of ID attached and must be lodged within 60 days. Take the papers with you to your nearest Australia Post to be processed where it should take at least 4 weeks for your license to be delivered to you. Expensive damage to workplace equipment and to the forklift itself. Damage to your business’ reputation. Apart from this, your business may face liability for illegal forklift operation. From an individual perspective, having a forklift license will make you a desirable candidate for any position you’re applying for that requires forklift handling. It is also a good way to upskill and keep yourself as a top employee. In your workplace, you should make sure everyone who is operating a forklift has an appropriate license. You can do this by paying for your employees to do the training and licensing course or giving them a day off to do the course. It’s also important that forklift licences are renewed to keep yourself and your co-workers safe. A forklift license must be renewed every 5 years, and you don’t need to do the training assessment again. It’s the same process for when you first applied for your license. You will still need a passport sized photo, 100 points of ID, funds for the renewal fee and fill out the license renewal application form at your local Australia Post Office. 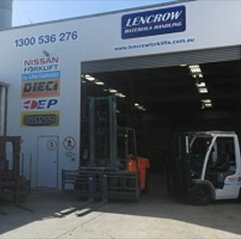 Lencrow Forklifts is an Australian owned company that’s been in operation for over 40 years and provide forklifts for rent and purchase, as well as trained forklift drivers to come to you for your material handling needs. If you have any questions about forklift licensing, visit our website for more information.